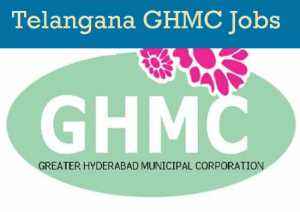 GHMC Recruitment 2018 Notification is liberated by the officials of Greater Hyderabad Municipal Corporation for the requirement of 175 Technical/ Non-Technical Work Inspector on Regular Basis. Aspirants can apply for this in Online by sending the Applications through www.onlinercues.in from 27th April to 07th May 2018 by checking the details. GHMC Work Inspector Recruitment 2018 Notification is liberated by the GHMC Officials, on 27.04.2018 on behalf of Regional Centre For Urban And Environmental Studies. So, the aspirants who possess the stipulations as placed on the GHMC Work Inspector Notification can have the opportunity to enrol for the available 171 Technical/ Non-Technical Jobs. As this is a heavy Competition, the aspirants need to enrol fast and then need to Concentrate on Selection rounds by checking the Syllabus placed. Check the details which are placed below. Aspirants need to possess the Minimum and Maximum Age Limits of 18 years and 44 Years of age. GHMC Organisation along with RCUES organisation needs to face the Written Examination only. Technical Work Inspector: Rs.15,000/- Per Month. Latest GHMC Recruitment 2018 notification is updated here. The selection process of 60 Horticulture Assistants in Telangana state has been started by NAC. In the official site of National Academy of Construction, this GHMC application form is opened 13th Jan to 23rd Jan 2018 @nac.edu.in or ghmc.gov.in. Get the latest GHMC Telangana Recruitment Notification 2018 updates by visiting this page. We know how much people are anxiously waiting for the Greater Hyderabad Municipal Corporation jobs in Telangana state. On seeing your willingness in this recruitment, here we have posted the very recent GHMC Recruitment of 60 Horticulture Assistants jobs across the city of Hyderabad. But this now in this time this recruitment is only for the Graduates in Horticulture or Forestry and diploma holders in Horticulture or Forestry. Don’t get disappointed of if you don’t have that educational qualifications, in the next coming days, GHMC may release a huge vacancies Telangana state government jobs notifications. So to check them stay tuned to our page. GHMC Horticulture Assistant Online Application Form: GHMC full form is Greater Hyderabad Municipal Corporation. It is the municipal corporation pf Hyderabad. Lets discuss our recruitment issue. To monitor and sueprvise the parks in the Hyderbas city, GHMC needs the news employees as Horticulture Assistants. The work of selecting the candidates, appointing them and giving the necessary training all are given to the National Academy of Construction board. So NAC is maintaing this recruitment and started the application process of GHM recrutiment. Any educational-wise applicable candidate may enter their details for this recruitment in the officia site of NAC. Latest Recruitments in India are available here. గ్రేటర్ హైదరాబాద్ మునిసిపల్ కార్పొరేషన్ (జిహెచ్ఎంసి) జిహెచ్ఎమ్సి రిక్రూట్మెంట్ 2018 నోటిఫికేషన్ను విడుదల చేసింది. The complete qualifications for GHMC Recruitment 2018 notification as per the job wise. Educational Qualifications: Graduation in Horticulture or Forestry for Horticulture Assistants (Graduates) and Diploma in Horticulture or Forestry for Horticulture Assistants Diploma from recognized University/Institutions with Min.50% marks. Candidates, age must be as per the GHMC Recruitment 2018 that is 21 to 45 years. Based on purely merit basis i.e % of marks scored in Graduation/ Diploma. For the application form of this recruitment of GHMC we have to visit the NAC site. It is the administrating authority of this recruitment. 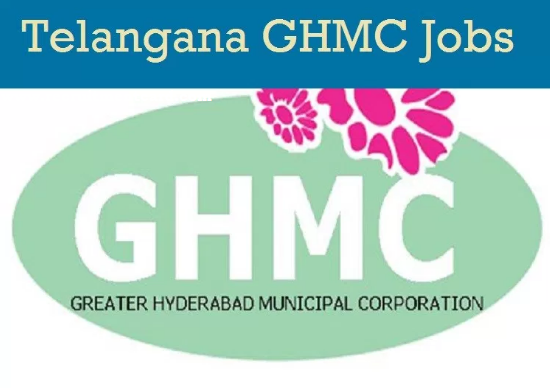 GHMC Hyderabad jobs notification is uploaded in the below links. Just look down to see that notification. NAC asks the eligible contenders to participate in this recruitment just giving the online application form. This online application form accepting process will end on 23rd Jan 2018. This GHMC Recruitment selection process contains no exam rounds and no interviews. It is the academic merit based recruitment. With the verifying of your academic marks, NAC will make call or message to you to bring the educational documents and other useful documents to verify. Following the verification of both selected candidates and wait listing candidates, NAC may prepare the final choose candidates. For them training period will start in Feb 2018 at NAC premises. Last date of submission of application: 23.01.2018 up to 5.00 p.m.